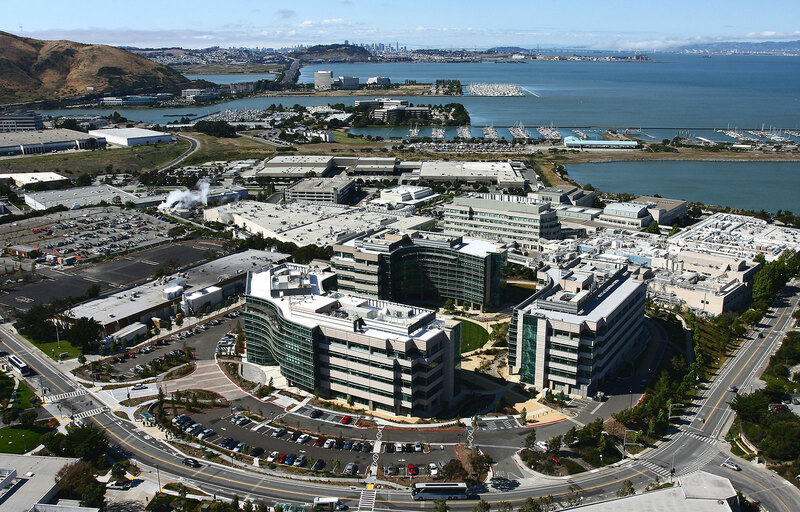 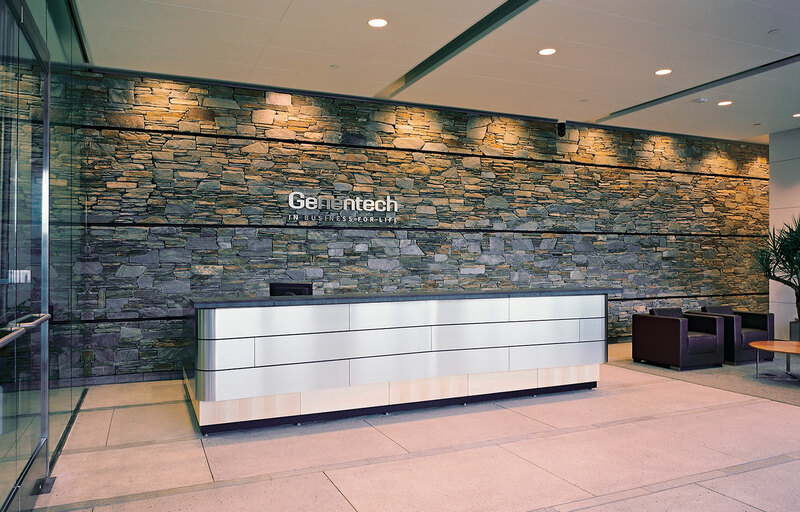 Genentech is a world leader in bio-technology with its headquarters in South San Francisco. 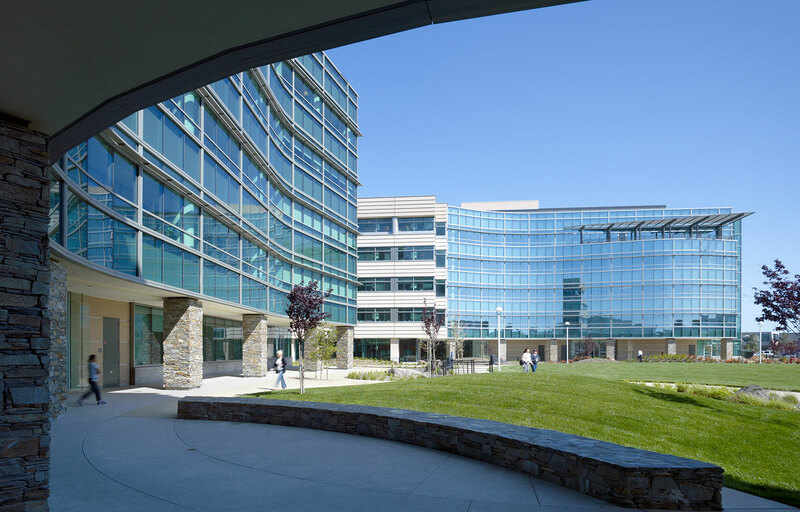 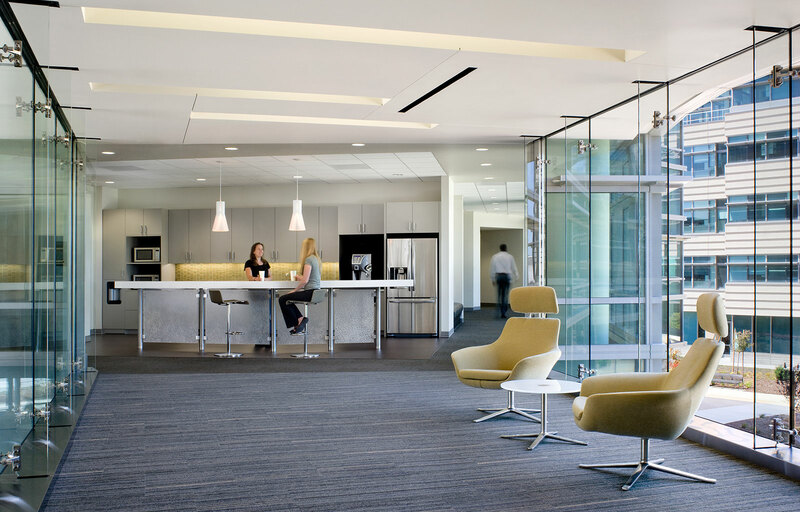 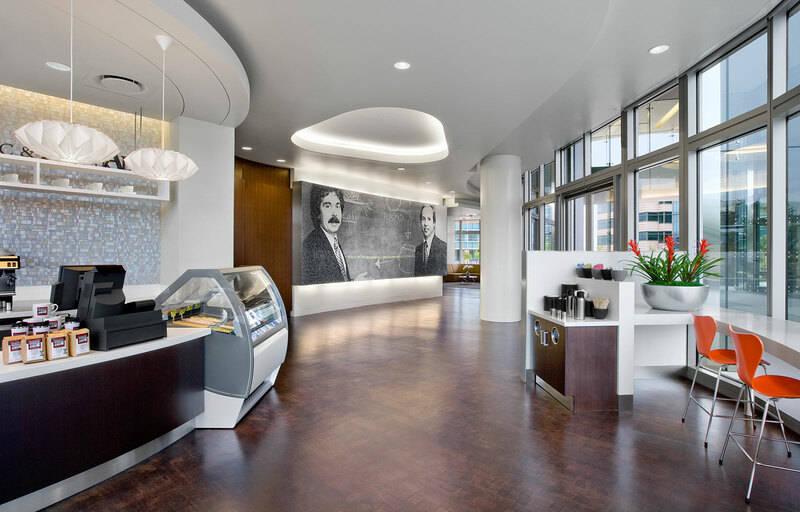 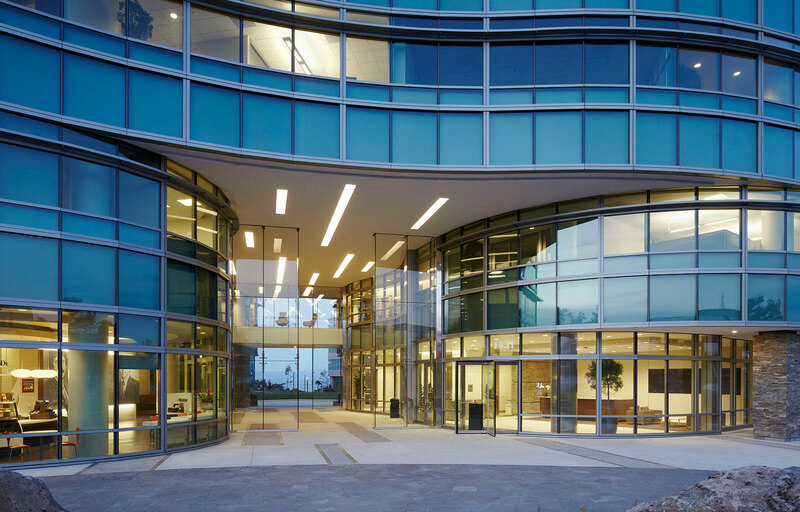 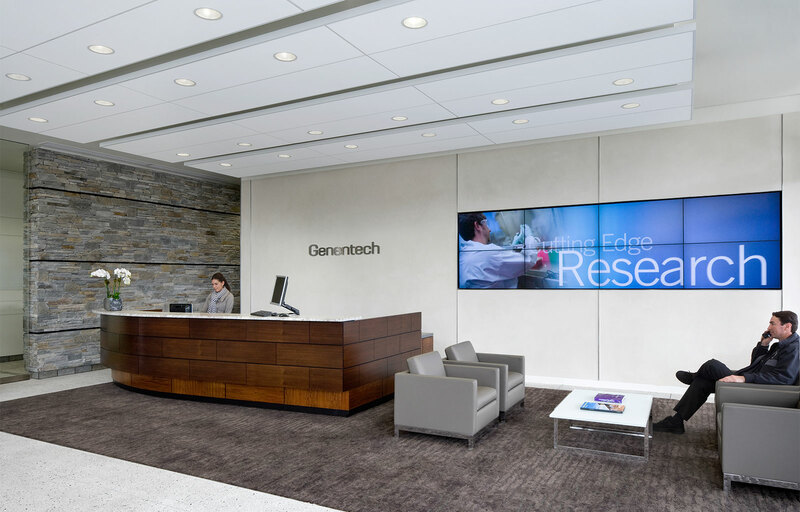 Johnson Fain has provided multiple services to Genentech for many years including architecture, interior design, master planning and programming services at the 100-acre campus that consists of multiple buildings and research laboratories. 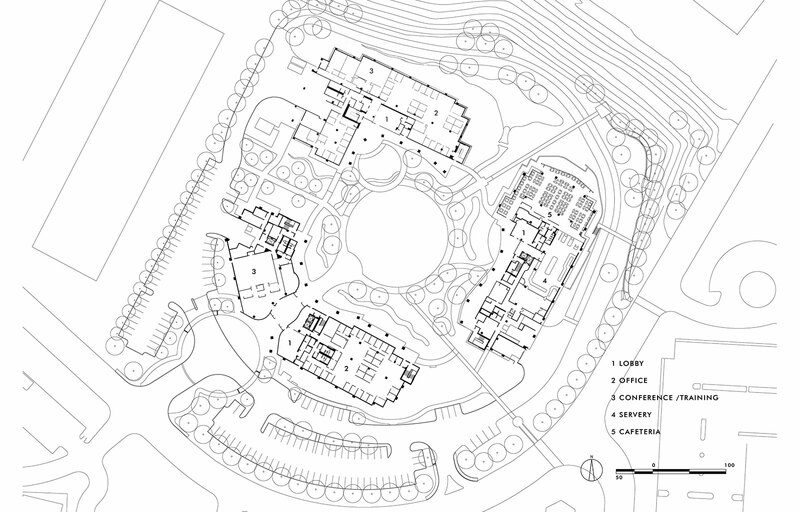 At the heart of their campus is a master-planned administrative office complex of Buildings 31, 32 and 33. 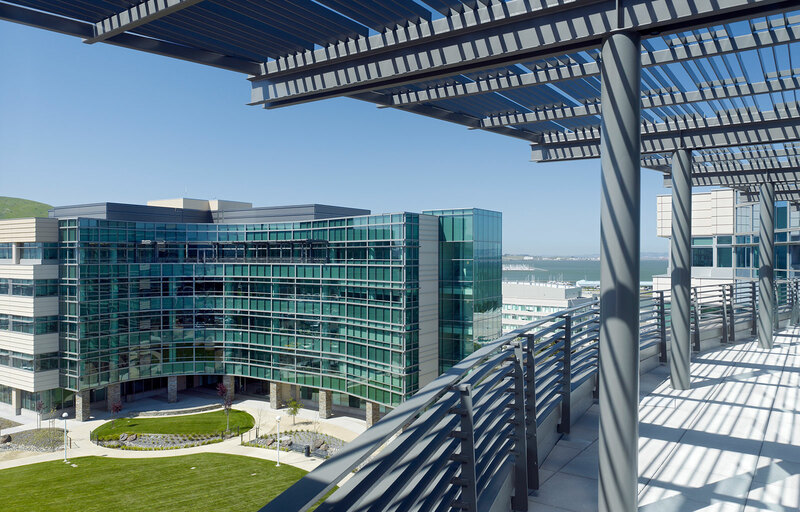 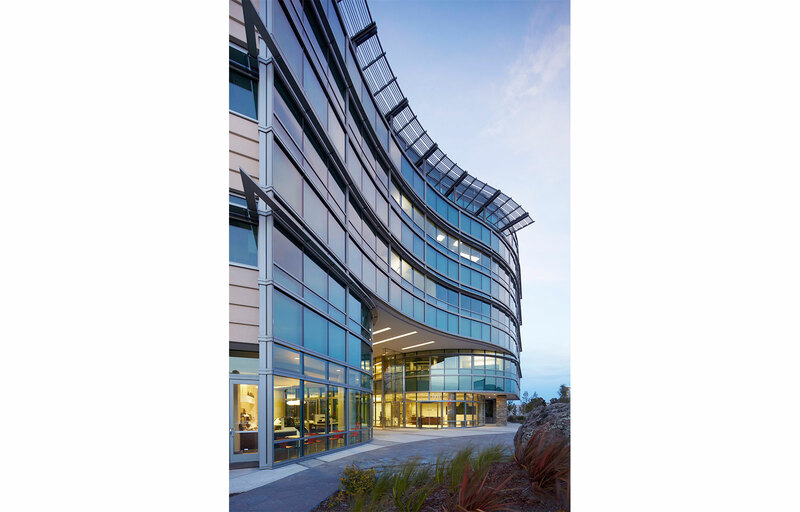 These design-built projects consist of three 5-story office buildings (approximately 400,000 square feet) clustered around a circular courtyard and located on a bluff overlooking the San Francisco Bay. 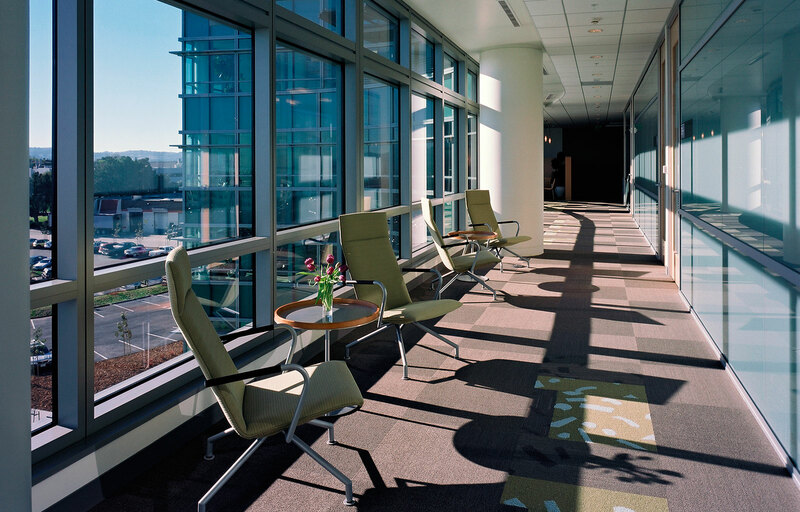 The ground floor functions contain common facilities for the employees such as a cafeteria, Genenstore and conference/meeting rooms. 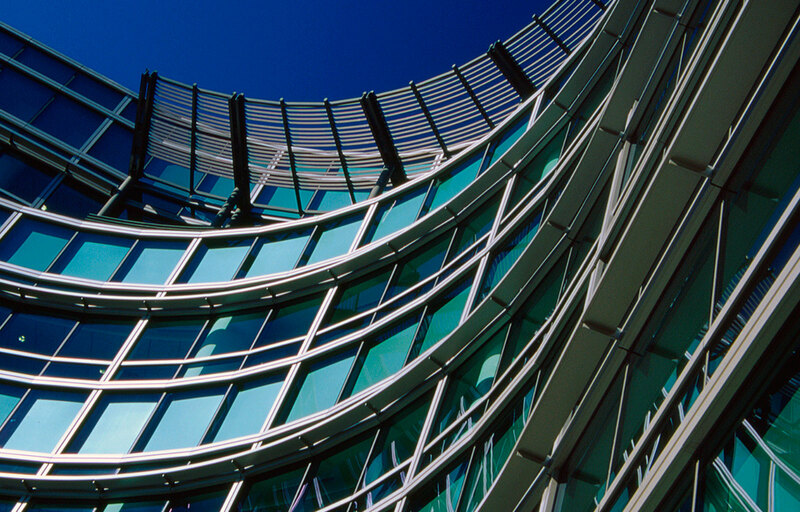 The exterior treatment of the building facades reflect the interior functions of the activities within and are composed of natural, sustainable and durable materials. 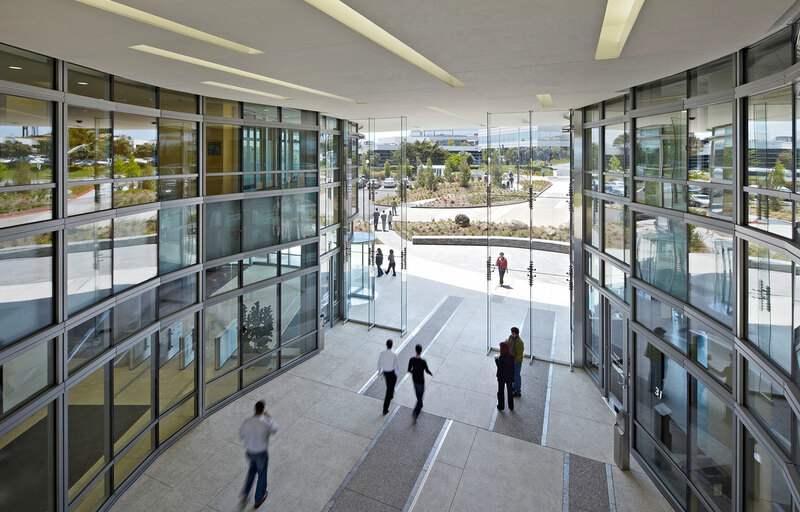 Private offices on the upper floors take advantage of the extraordinary views to the Bay, while the Main Street and common spaces look to the landscaped courtyard within the site. 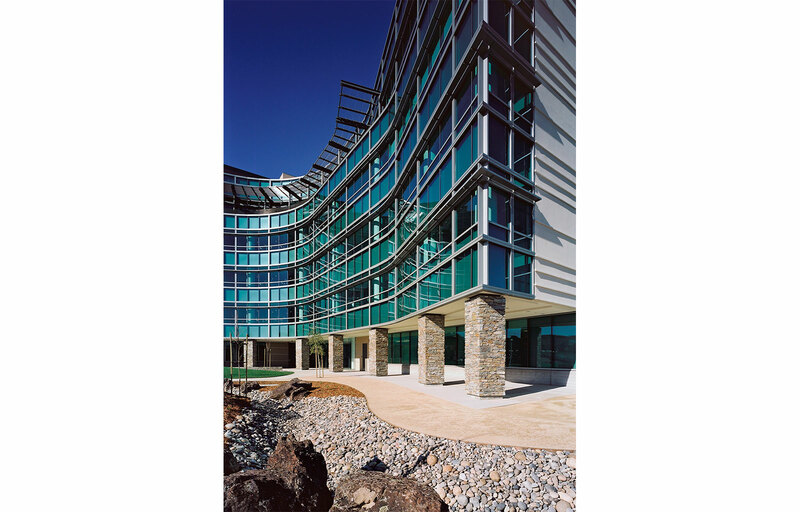 With the integration of natural flagstone in paving and ground level walls and columns, the building treatment at the ground level has a harmonious relationship to the drought tolerant Northern California landscaping on the site. 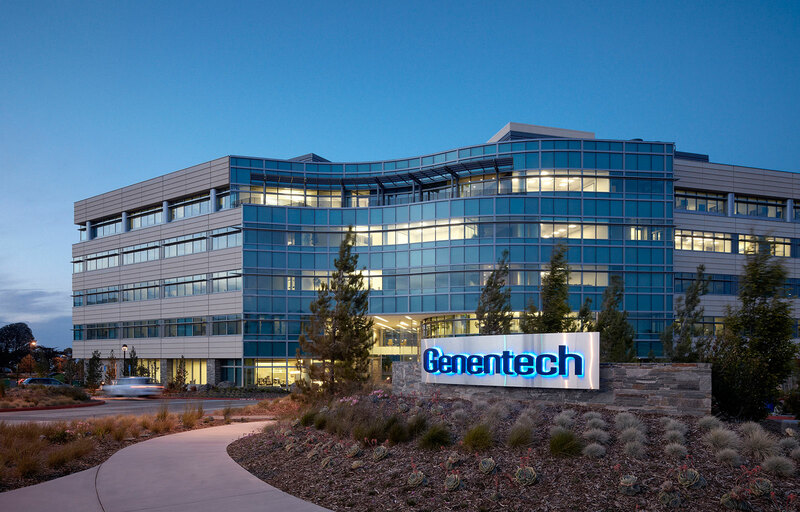 Genentech’s West Campus project, along with the many other neighborhood studies that Johnson Fain has undertaken, is an indication of the continuing collaborative relationship between the architect and this industry leader. 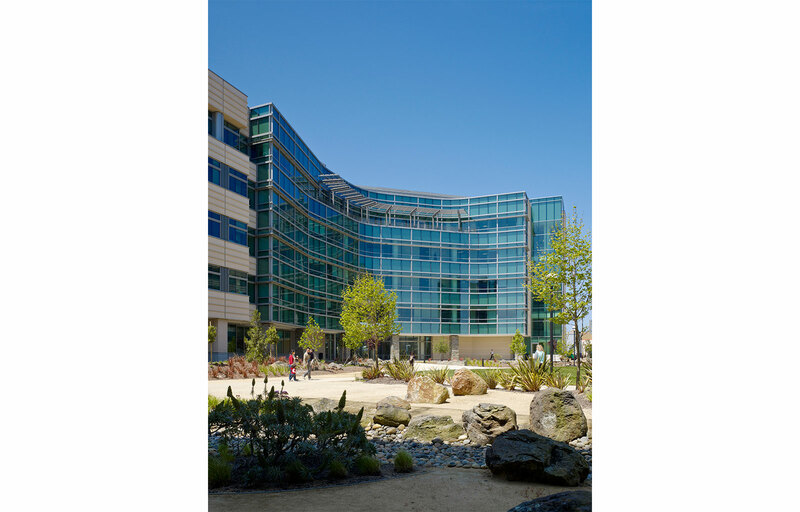 Building 33: 5-story, 125,000 square feet houses a 300-seat employee cafeteria, 27,000 square feet conference / teaming areas.